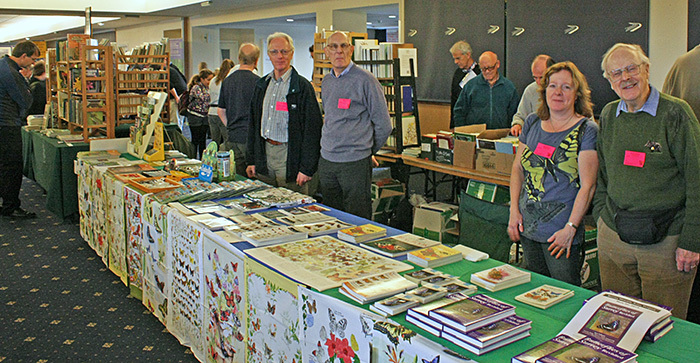 As part of the Club’s outreach programme, Dennis Fullwood and Alan Wood manned a stand at the annual exhibition and trade fair organised by the Amateur Entomologists’ Society at Kempton Park Racecourse in Middlesex, promoting microscopes and microscopy to hordes of entomologists. 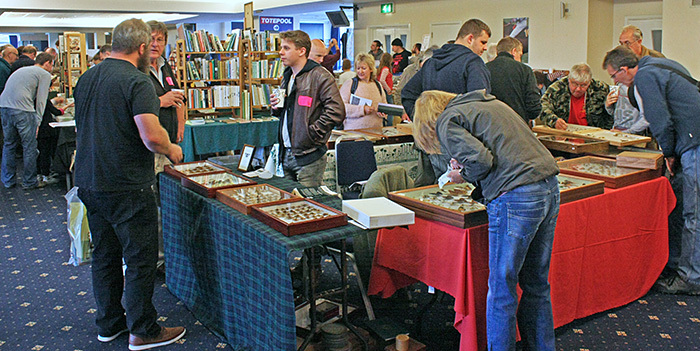 This event was very well attended with hundreds of visitors, but it often clashes with Quekex, so we don’t often get the chance to exhibit there. There were well over 100 stands spread over 2 floors. 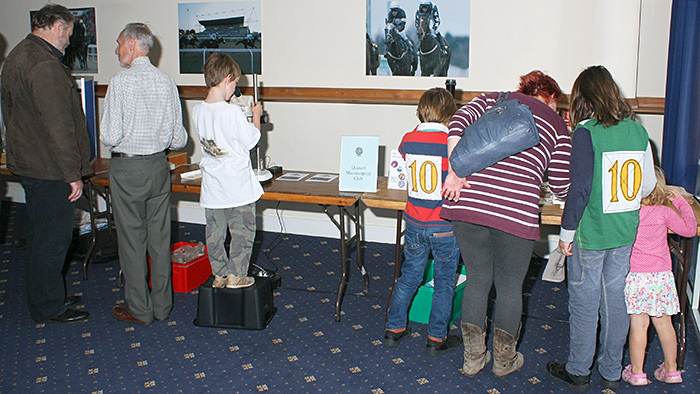 We had a steady stream of visitors to our stand on the first floor, including lots of interested youngsters, and we hope to see some of them again at Microscopium and Young Scientists’ Day. 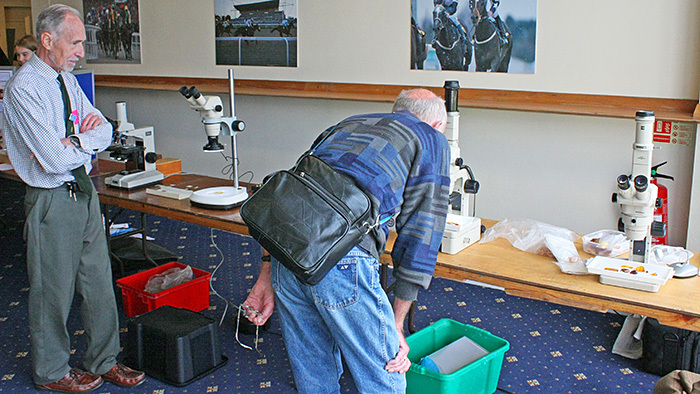 Dennis Fullwood brought his Nikon Labophot compound and 2 Olympus SZ4045 stereomicroscopes. Alan Wood brought his Olympus SZ4045 stereo with 0.3× reducing lens on a pole stand, a combination that can provide a field of view over 100 mm in diameter, large enough for most insects. Dennis’s stereos were used to show insects in 40-million-year-old Baltic amber. 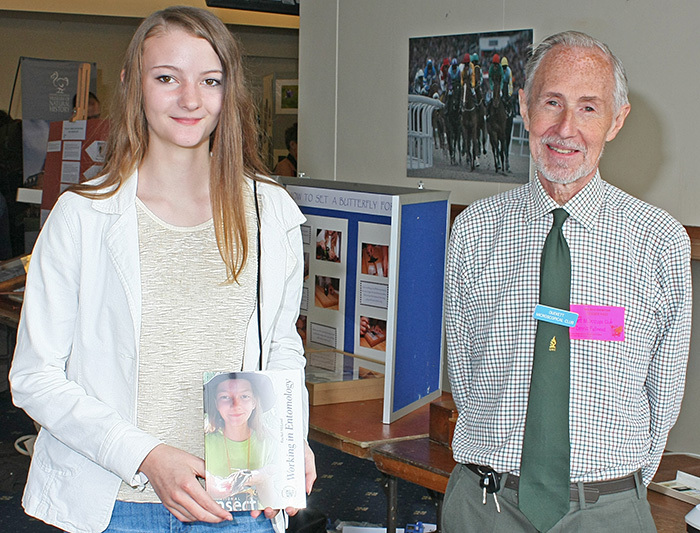 One of our visitors was Rachel McLeod, a member of the AES and the Quekett and author of Working in Entomology. We used Alan’s stereo to show a selection of slides from Dennis’s collection, including Darlaston slides of a pond skater (Gerris lacustris (L.)) and a brown ant (Formica fusca L.), a Flatters & Garnett slide of an adult female mosquito (Culex sp. ), feathery antennae of a moth, and a spider (Meta segmentata (Clerck)). We used Dennis’s compound to show slides including the bees knees (third leg of Apis mellifera L.) and a human body louse nymph (Pediculus humanus L.). 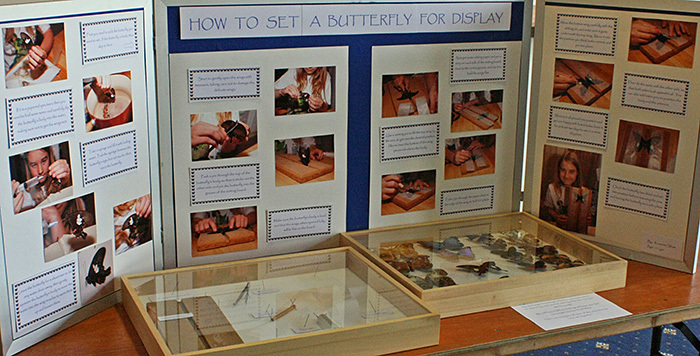 There were some very impressive exhibits by members of the AES, including youngsters. 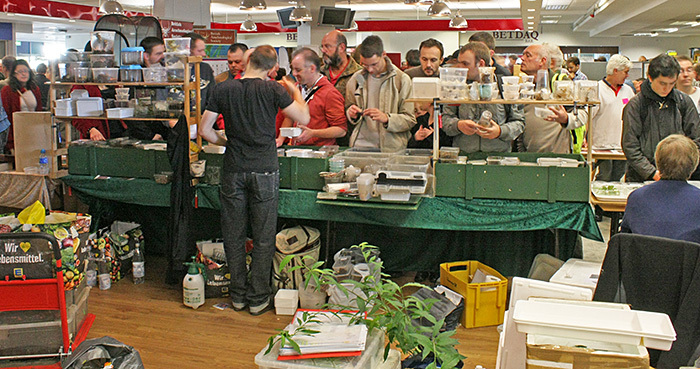 The main sales area on the ground floor was packed with visitors. In addition to well-known firms including GX Optical and Watkins & Doncaster, there were dozens of smaller, specialised firms and individuals.